Do You Have Any Problem In Your Regular Menstruation Cycle? 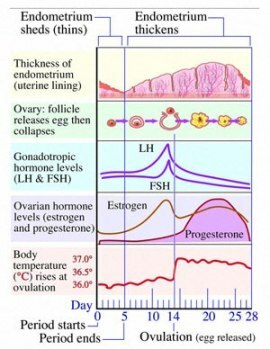 Home Women's Reproductive Health Menstrual Cycle Do You Have Any Problem In Your Regular Menstruation Cycle? Most of the women, who are actually fortunate, usually experience their monthly menstrual periods effortlessly with few or no concerns. Your periods can just come and go like a clockwork, starting and ending at precisely the same time every month. Even though they can cause a very little more than a minor inconvenience, they might not create many complications in your life. 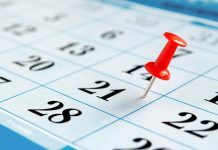 However, some of you can repeatedly experience a host of physical or emotional signs of menstruation, just before or during your regular monthly periods. From heavy menstrual bleeding (menorrhagia) to missed periods or certain unmanageable mood swings can interrupt your life in major ways. A menstrual disorder is actually referred to a physical or emotional problem which can mainly interfere with your normal menstruation cycle. Due to this interference, you can experience pain, abnormally heavy or light bleeding, missed periods or even delayed menarche. In fact, the menstruation process in women mainly involves numerous structures and organs including your hypothalamus and pituitary glands. Most of the menstrual disorders can instinctively takes place, when certain health conditions or diseases typically interrupt the regular functioning of the reproductive structures and organs of your body. 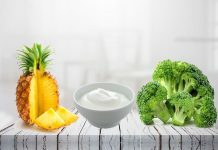 Some of the most common health conditions which are mainly associated with your regular menstruation process are included here. Try to find more information regarding all these disorders and take appropriate measures to avoid undesirable conditions associated with them. This is one of the most common reproductive disorders in which excessive amounts of androgens are produced by your ovaries. Polycystic ovarian syndrome (PCOS treatment)can actually lead you to many other kinds of menstrual disorders such as oligomenorrhea, polymenorrhea and also amenorrhea. For most of the women suffering with polycystic ovarian syndrome, these menstrual disorders are actually caused by anovulation or simply due to lack of ability to ovulate regularly. Due to lack of proper ovulation process, this PCOS can significantly lead to many fertility issues in your life. Almost one in five females can experience heavy bleeding during their regular menstrual periods. Because of this heavy bleeding, it becomes quite obvious for you to put your normal life style on hold, just merely to deal with the excessive blood flow. This abnormal uterine bleeding is mainly caused due to hormonal imbalances, structural abnormalities of your uterus and also due to several other medical conditions in your body. As you all know, it is quite common for each and every woman to experience these menstrual cramps during or before their regular periods, at some or the other point in their entire course of life. Even for some of you, these cramps can be a part of your regular menstrual cycle. But, if the pain is extremely painful and even persistent, then it can be a sign for any underlying abnormal heath condition. So, whenever you feel extreme and also persistent pain during your regular bleeding days, then immediately consult an efficient health care provider. Most of the menstrual disorders have a clear-cut explanations and a wide range of treatment options to manage the symptoms. If you are really concerned about your regular menstrual periods, then try to consult your health care provider immediately to get a better solution for your problem. Next articleAre You Aware Of Premenstrual Dysphoric Disorder?